This surely is a case of taking outsourcing and globalization too far: A U.S. government contractor is still assembling a key passport component in Thailand despite repeated warnings about security risks, ABC News reported. In a report conducted jointly with the Center for Public Integrity (CPI), a watchdog group, ABC said the Government Printing Office (GPO) inspector general has warned the GPO lacks a basic security plan for protecting blank e-Passports from theft by terrorists, foreign spies, or counterfeiters. 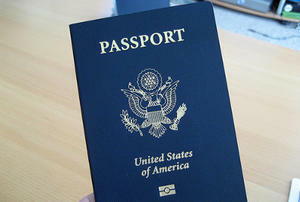 Such passports contain a chip in the cover designed to deter counterfeiting. Despite offering assurances production of passports would be moved to the United States, a government contractor is still assembling the electronic component in Thailand, ABC and the CPI reported Monday. “Something like that ought to be produced only in the United States, under only the most rigorous security standards,” he told ABC News. UPI reports that GPO CEO Robert Tapella, after initially declining to be interviewed for the story, told ABC News at a conference in Baltimore government contractors are working on moving the work out of Thailand to Minnesota. “I believe the Government Printing Office along with the Department of State, are doing everything necessary to maintain and secure the passport supply chain,” he said.